Itineraries are more or less like times tables that prompt you to take actions according to a set plan.Itineraries are, generally, used by travellers who prefer to follow a pre-fixed agenda of actions rather than preparing it on the go. But with different areas of work demanding disciple, itineraries have become a widely used tool. 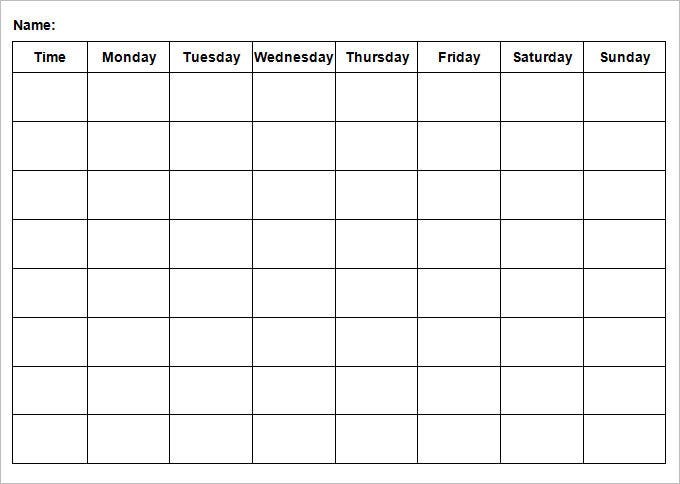 Although, there is no denying that itineraries help time management, they are a little difficult to create. 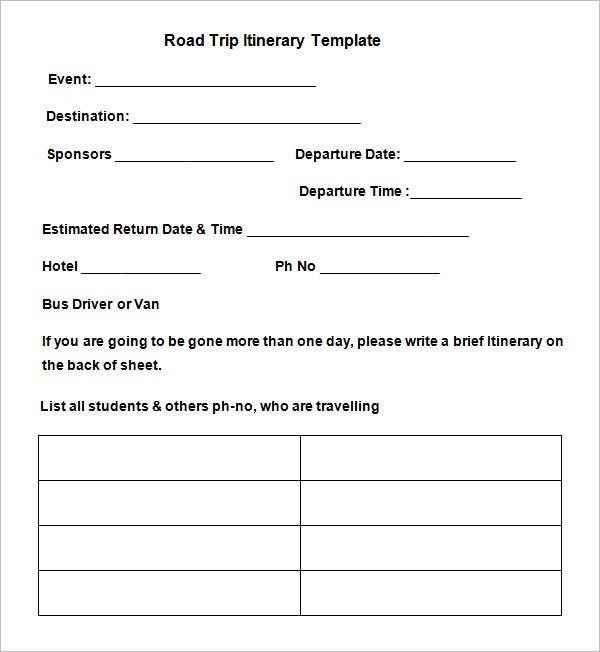 If you want to devise the best itinerary ever, you must follow Sample Blank Itinerary Templates. 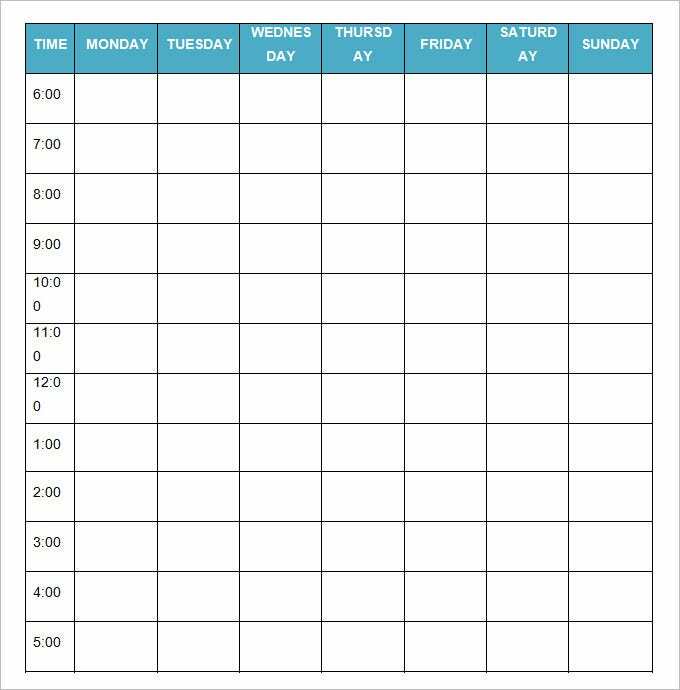 You can also see Trip Itinerary Template Now, creating an itinerary from scratch would be an elaborate task and if you want to eliminate some hassle here, go for a blank itinerary template. Planning for things to be done during a week needs excellent vision, without which no itinerary can be successful. Effective weekly itineraries can be best prepared with the help of Weekly Itinerary Templates. Travelling with a lot of people comes with added difficulties. However, if you want everything to be done on its time during a trip, you must focus on getting a great cross country road trip itinerary developed. To create one, you can follow a suitableCross Country Road Trip Itinerary Template. Only someone who has ever been associated with event management can gauge the intensity of difficulties associated with conducting and managing an event. But by using an event itinerary, you willconsiderablyminimize unnecessary efforts. 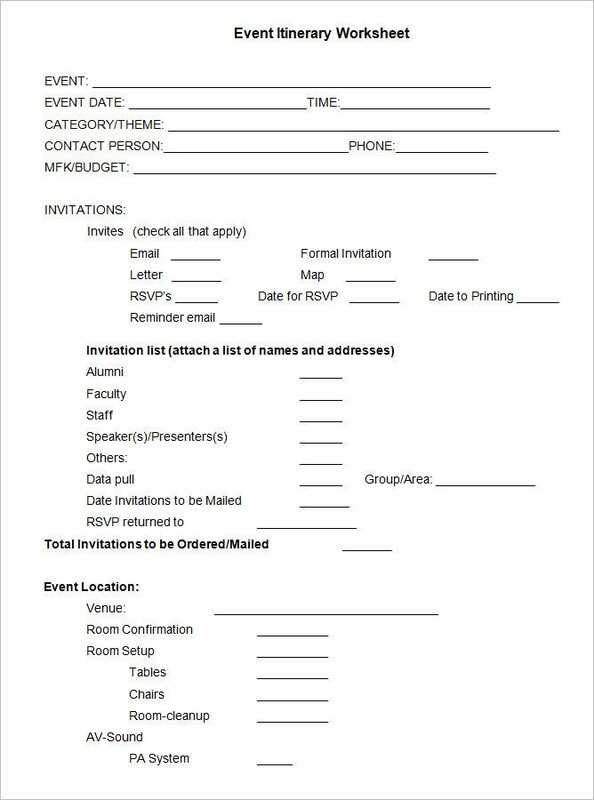 Now, the question is-how to create a great event itinerary? The answer to which is simple- by using anEvent Itinerary Template. 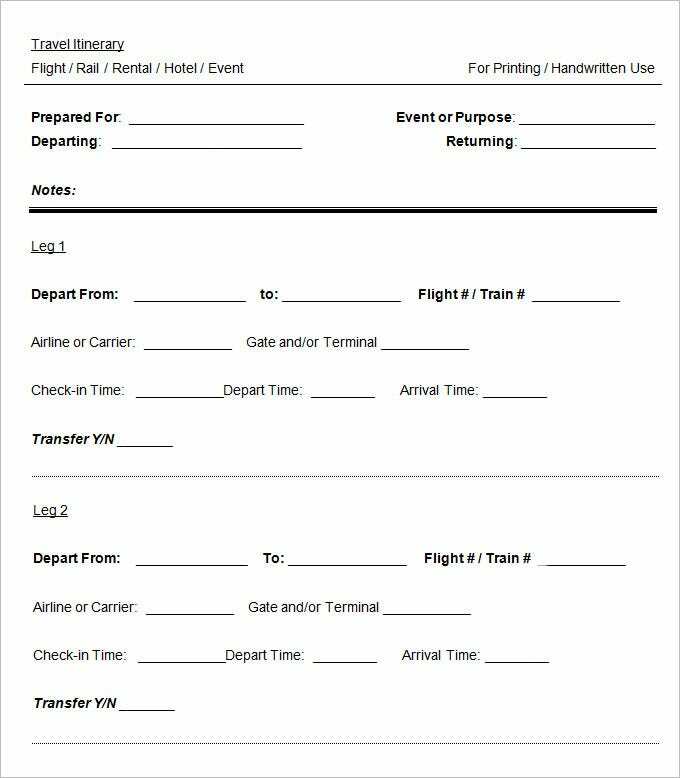 A sample blank itinerary template saves you from the stress of creating a whole itinerary right from scratch. You will get a readymade structure here where you will just need to put the needed details. You will end up with a great deal of saved time & energy to focus on other important activities regarding your trip or event. 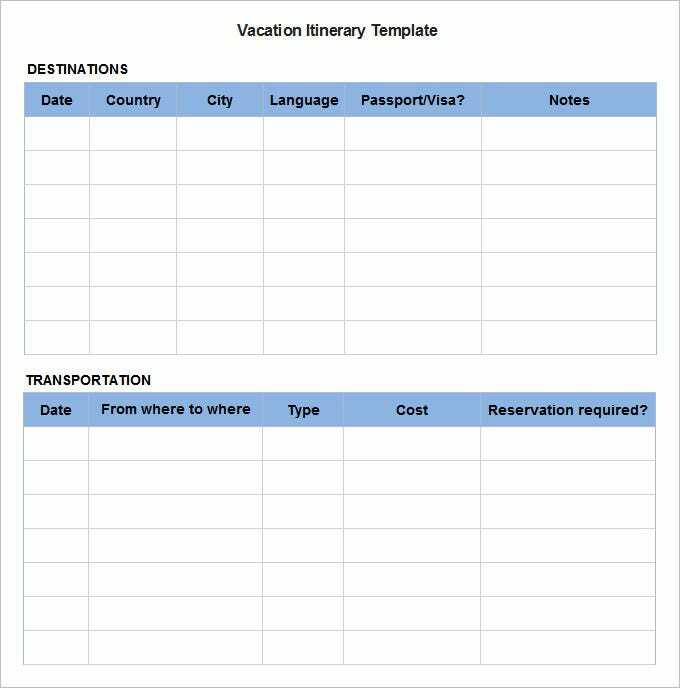 These are easily accessible online and there are several blank itineraries to choose from like templates for business meetings or road trip itinerary template. 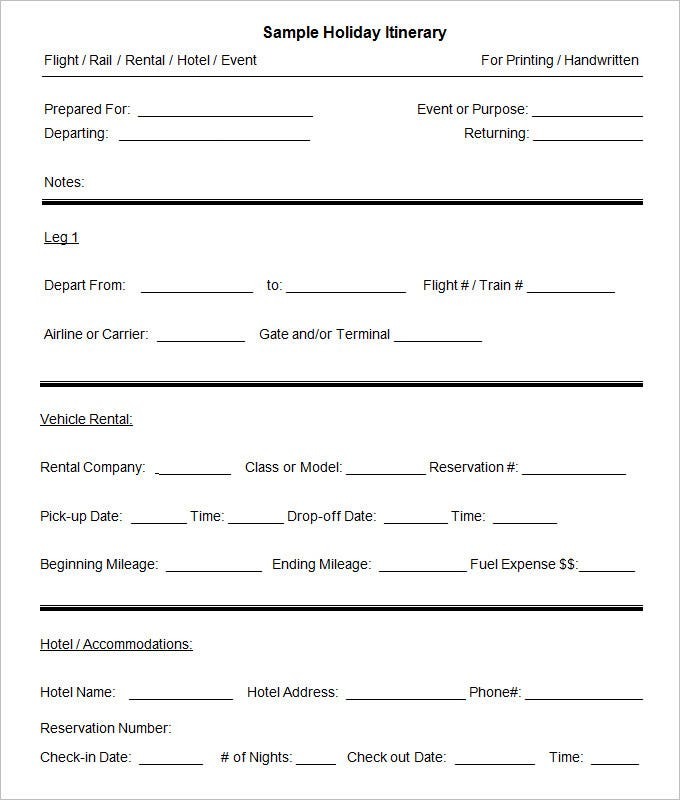 Several sites provide blank itinerary Template Free Download. 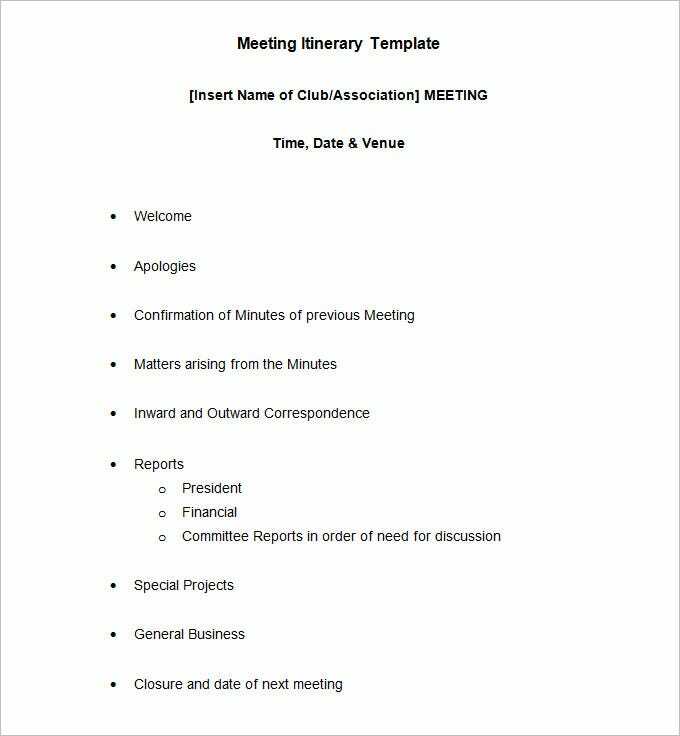 Your blank itinerary template, such as a meeting itinerary template, can be modified easily, as per your specific needs. Whether it is a trip, an event or any other small or big function, you want it to materialize without hiccups. While ensuring this could be difficult, one can simply not let events turn the way they intend to. Efforts need to be put into making sure that every event you organize is accomplished without hitches. Different people utilize different methods to ensure this. But smart people follow itineraries. Following an itinerary makes things as easy as pie. You not only know what the things needed to be done are, but also when exactly they must start. And that is a win-win situation for anyone. 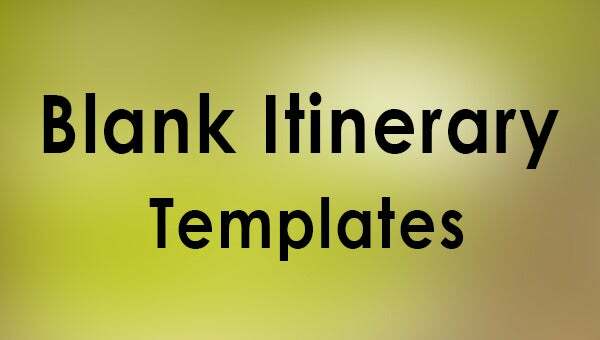 These templates are ready to use and can be downloaded from any template website. Make sure you choose to download your templates from a trusted source only. Most of these templates are free of cost. So, they are pocket-friendly. But in case, you are charged for downloads, you shouldn’t cringe as the fee is often negligible. 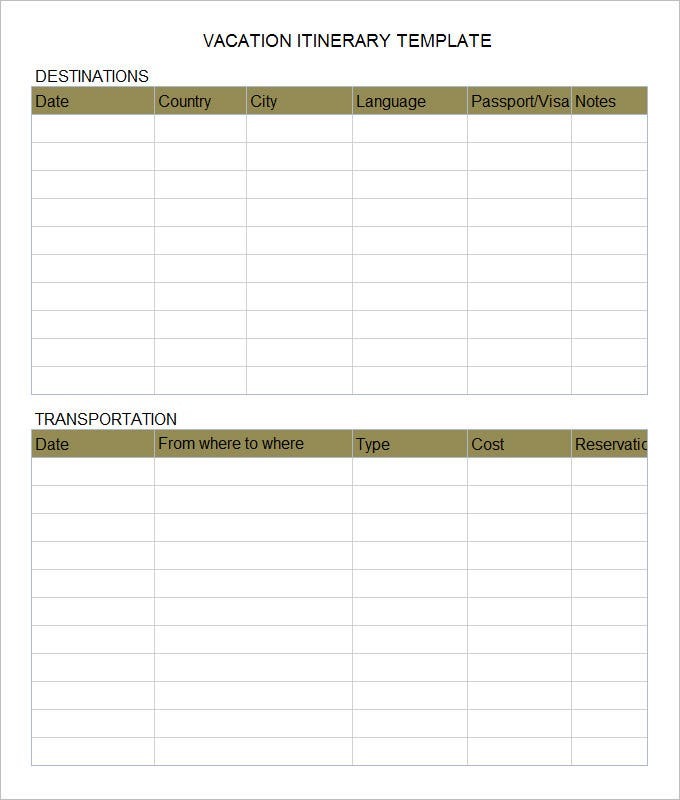 We have collected some sample Blank Itinerary templates, hope these templates will help you.